This plant is an unusual sight for many visitors to Hawaii, who are expecting colorful blossoms like hibiscus and plumeria. The prickly pear is a tree-sized cactus. 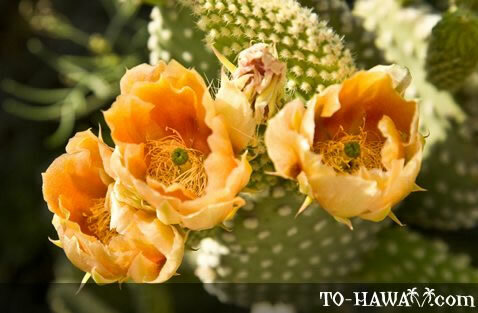 Its Hawaiian name is Panini, meaning “very unfriendly wall.” The plant has green plates with spines sticking out. It also bears red or green-yellow fruits, which grow along the edges of the plates.